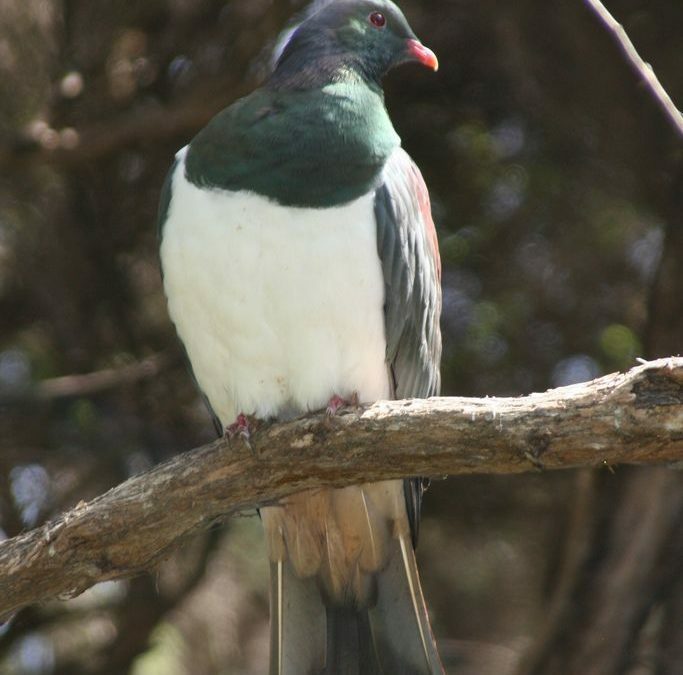 The kereru (also known as the kukupa in some parts of the country) is better known as the wood pigeon. This was once a very common bird and a much-loved delicacy of Maori and pakeha alike. Bird numbers were declining so much that restrictions were introduced in 1864 and extended to protection in 1921. The large, somewhat clumsy looking pigeon makes a startling noise as it flaps around the bush, looking for the leaves and flowers which make up a large part of its diet. In some parts of the country the kereru, remembered in Kereru Place, is becoming rare again as illegal hunting reduces its numbers. Pic: Slightly clumsy in flight, the New Zealand wood pigeon was a staple of the Maori diet.